Do you know that you can enjoy up to 250MB in bonus per week just by making consistent recharges? This is made possible with Airtel Recharge Plus. 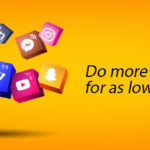 Recharge Plus is an Airtel promotion that allows subscribers to enjoy huge data bonuses to browse, download and surf the internet. How Does Airtel Recharge Plus Work? 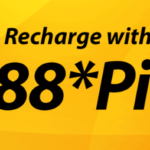 Recharge Plus does not pose any obligation. You are only required to make consistent recharges on your Airtel line in order to attain your specific recharge target for the bonuses. The recharge target for each subscriber may vary. You can find out your weekly target by dialing *479# on your Airtel line. Tell us your personal target in the comments section! Once you reach your target, you will be rewarded with free 250MB with absolutely no condition or deduction attached. In addition, it should be noted that the bonus is usable per week. In other words, your Airtel Recharge Plus bonus will be valid from the moment you hit your weekly target to Sunday 11:59 pm every week. Also, Airtel will notify you as soon as you are credited with the bonus and you can check your bonus balance by dialing *140# or *123#. Airtel Recharge Plus is available to all Airtel prepaid customer no matter their tariff plans. Furthermore, you can enjoy the benefits irrespective of the means you use to recharge your Airtel line. However, the 250MB data bonus is available once a week. In other words, once you have received the bonus for a week, you are no longer eligible for that week. Also, you can get a maximum of 1GB from Recharge Plus in a month. Furthermore, Airtel Recharge Plus data bonuses can be used for any purpose you deem fit, just the same way you can use your purchased data. In other words, you can use the bonus to download, watch movies online, stream videos and so forth, without any form of restriction or obligation.